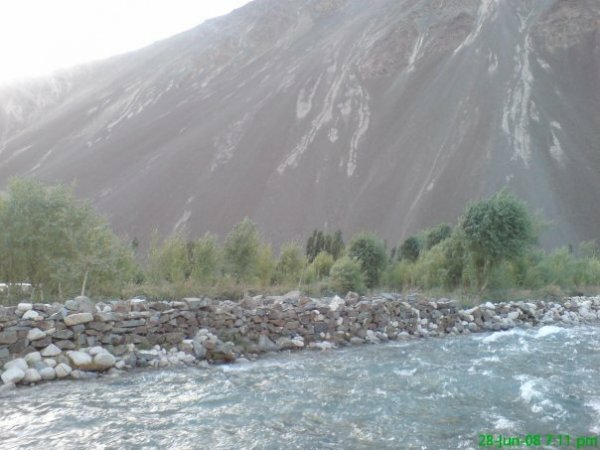 At around 3 AM on August 20, 2011, hundreds of law enforcement personnel entered Altit, Nasirabad, Aliabad, Karimabad and Murtazabad towns of Hunza district. While the residents were preparing midnight meals to observe the Holy month of Ramadan, the forces barged into the neighborhoods and detained more than twenty youth. The detainees were later charged for sedition and terrorism and taken to unknown location by the secret service agents. Reports have come of influential leaders including Tahir Jan, Irfan Hunzai and Afsar Jan being taken in custody while the security personnel continue their search for Babajan Hunzai, the Chairperson of Progressive Youth Front. Local dignitaries including the president of Gilgit-Baltistan High Court Bar Association have condemned these extra judicial arrests. Later the same day, the Royal heir of Hunza and his wife presented themselves to the police authorities in protest of the arrests of innocent and peaceful internally displaced persons (IDPs) who became victim of the flashfloods and landslides a year ago and continue to languish in makeshift tents without proper health and educational facilities. Hunza is the most peaceful part of occupied Gilgit-Baltistan where few days ago, law enforcement personnel shot and killed two and injured six others among the IDPs who were demanding rehabilitation and compensation. The detention of Manzoor Parwana, chairperson of Gilgit-Baltistan United Movement, is also fresh in the minds, as he was charged for sedition on July 28 for demanding rights for the local IDPs and the Ladakhi refugees. In the wake of these incidents, thousands have come on the streets demonstrating and wearing burial shrouds to condemn government brutality and extra judicial killings and detentions. The arrest of dozens of political activists who were demanding food, shelter and clothing for the flood victims is yet another symbol of state led terrorism and barbarism. The apartheid regime of Pakistan which assumed control of disputed Gilgit-Baltistan in 1947 has since used highhandedness to deprive the natives of their socio-economic, cultural and political rights. It is unfortunate that political awakening in the Middle Eastern countries has failed to teach the fascists of Islamabad any lesson. Yet, people-led democracies rapidly replacing dictatorships and totalitarianism elsewhere have given some hope of freedom to the poverty stricken natives of occupied Gilgit-Baltistan.